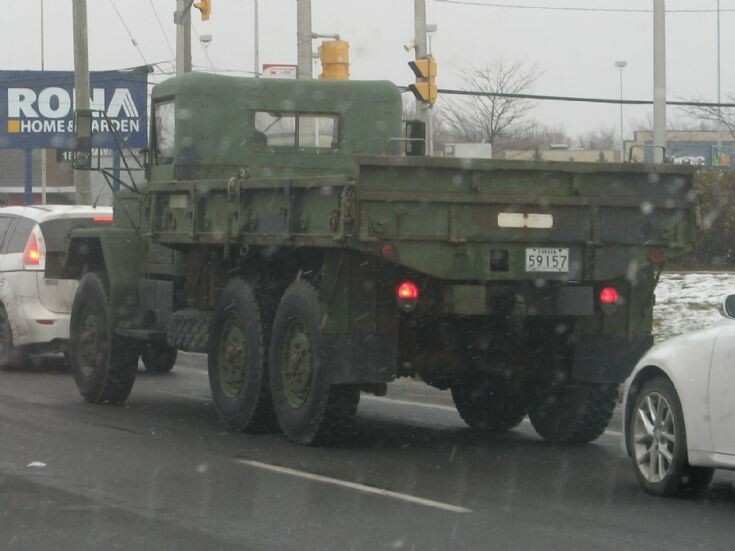 Rear angle view of a CAF light duty dump truck (make and model not known) spotted in traffic in Ottawa Ontario on 28 November 2012. the licence plate is the type used by all vehicles of the Canadian Department of National Defence. just the dumptruck based on an M35. I think that the chassis is a little shorter though. Added by Roger Greenaway on 30 November 2012.